There’s something counterintuitive about it, right? Plug a USB stick into a giant digital player alongside turntables. Or plug the turntables into a computer. What if the USB stick … was the actual player? In the age of rapid miniaturization, why hasn’t this happened yet? Well, thanks to an open source project, it has happened (very nearly, anyway). It’s called PiDeck. And it radically reduces the amount of gear you need. 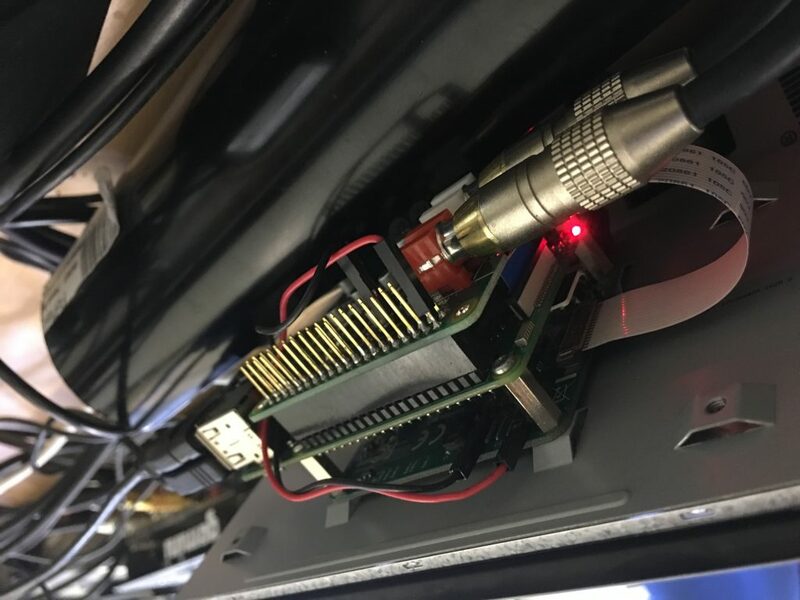 You’ll still need an audio interface with phono input to connect the turntable, plus the (very small, very cheap) Raspberry Pi. But that’s just about it. Connect your handheld computer into a turntable, add a control vinyl, and you’re ready to go. So your entire rig is only slightly larger than the size of two records and some gear the size of your two hands. You have a rock-solid, Linux-based, ultra-portable rig, a minimum of fuss, essentially no space taken up in the booth – this all makes digital vinyl cool again. And you can download this now – for free. Chris (in cc) and I have been working on the project in spare time for a couple of months, here on the Isle of Wight. Chris built the hardware prototype and did most of the work on the custom Debian distro. 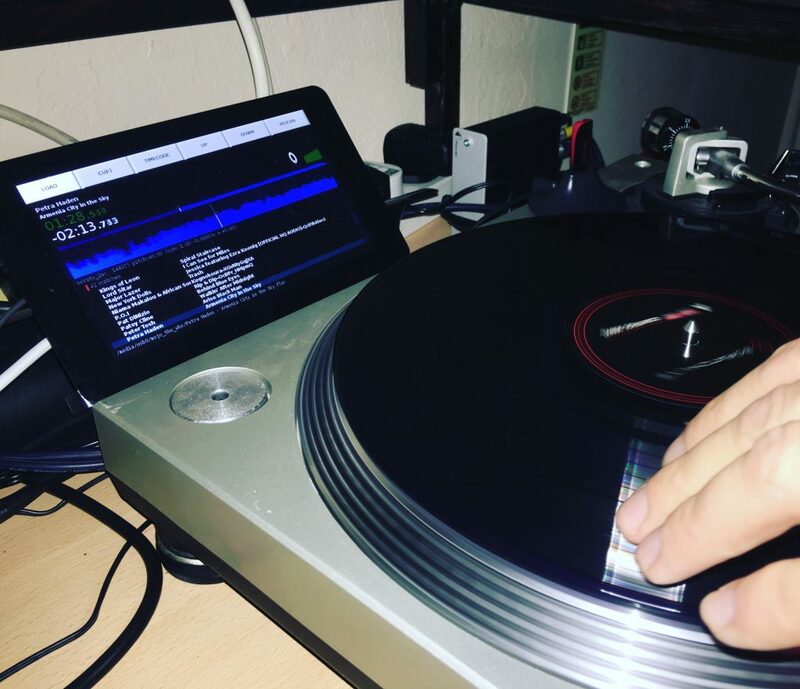 The idea behind the PiDeck project is to combine the digital convenience of a USB stick with the hands-on usability of the classic turntable, in a way which is affordable and accessible. The parts cost (at retail) for each PiDeck device is currently about £150, not including a case or control vinyl. There is no soldering to do; the hardware screws and clips together. I used to run DJ workshops for young people, and found that while the kids were really happy to get their hands on the decks, a lot of them were put off by having to use the laptop as well, especially the younger kids and the girls. The teenage boys would tend to crowd around the laptop and take over. playlist. PiDeck doesn’t have any mixing, sync or playlist features, so the DJ can take full credit (or blame) for the sound of the mix. We’ve deliberately put no configurable options in the interface, and there are no personal files stored on the device. This helps ensure the PiDeck becomes part of the turntable and not unique, in the way that a laptop and its data is. This makes the PiDeck easier to share with other DJs, so that there should be no downtime between sets, and should make it easier for up-and-coming DJs to get a turn on the equipment. If a PiDeck breaks, it would be possible to swap it out for another PiDeck device and carry right on. Although the DJ doesn’t have any settings to deal with, the software is open source and fully hackable, so we’re hoping that a community will emerge and do interesting things with the project. For example, multiple PiDeck devices could be networked together, or used to control some other system via the turntable. Yeah – this could change a lot. It’s not just a nerdy proof of concept: it could make turntablism way more fun.